Enviro UK Consultants offers a range of training courses designed to ensure clients are complying with relevant environmental legislation as well as raising awareness of the principles of environmental and waste management. Our courses are run from venues in Sunderland and Darlington or we can attend on site to provide in-house training. Anyone new to waste or who wants to learn about what is waste and how it affects running a business. This course results in a formal certificate valid for 3 years upon completion of a written assessment. Bespoke in-house courses can be arranged and these are quoted on a case-by-case basis. An increasing number of organisations, of all sizes and sectors, are placing more focus on Energy Awareness and Management. The cost of energy continues to increase and legal drivers directly incentivise organisations to take action. At the same time, the climate continues to warm and customers expect organisations to play their part, contribute and make more eco-conscious products and services available. This course will provide an introduction to energy management. The aim is to equip learners with the knowledge and skills to identify, quantify and plan actions to reduce energy use whilst driving continual improvement of the energy performance of their organisation. Practical class exercises and case studies will be used to support theory. This introductory course is for anyone wishing to learn how to measure and reduce their own energy use or that of their organisation. The course is suitable for environmental mangers and facilities managers as well as general workforce awareness across all roles. Note – this course can be tailored to be specific to different sectors (eg in Housing Associations) or delivered in-house and made entirely bespoke to your organisation. Practical class exercises and activities throughout the course. Successful candidates will receive a Professional Certificate of Achievement that is co-badged by True North Sustainability and Enviro UK Consultants Limited. For further information about this course, please contact us. An increasing number of organisations of all sizes and sectors are placing more focus on Energy Awareness and Management. The cost of energy continues to increase and legal drivers directly incentivise organisations to take action. At the same time, the climate continues to warm and customers expect companies to play their part in reducing emissions and make more eco-conscious products and services available. This introductory course is for anyone wishing to learn more about the many different renewable energy technologies available in today’s market place, how to make alternative energy and also how to benefit from the government incentives underpinning many renewable energy technologies such as the Feed in Tariff and Renewable Heat Incentive. Note: This course can be tailored to be specific to different sectors, can be delivered in-house or from our range of training venues. This course will provide an introduction to Renewable Technologies and provide learners with the information, awareness and knowledge to understand the different types of renewable technologies available in the current market place and their benefits. The training will consist of presentations, practical class exercises and the use of case studies to support theory. Fully understand the meaning of “renewable” technology. Successful candidates will receive a Professional Certificate of Achievement that is badged by Enviro ULK Consultants. Click here to download the brochure for this course. The aim of this course is to provide learners with the knowledge and skills to reduce their impact on the environment and improve the environmental performance of their organisation. Anyone wishing to learn how to reduce their own personal impact on the environment and/or reduce the impact of their organisation. Enviro UK Consultants also offer the following Institute of Environmental Management and Assessment (IEMA) Certified Courses, through our IEMA Approved Training Partner Imvelo. IEMA Certified courses have a prescribed specification developed by IEMA with a focus on enhancing the professional development. Through rigorous quality assurance processes, Imvelo works with IEMA to ensure you will complete the course with the knowledge and competencies validated by an individually recognised professional body. Learners attending IEMA Certified courses will be entitled to an IEMA certificate. IEMA Training can also facilitate replacement copies if needed at a later date, thanks to the unique identifying number generated with successful completion of the course. 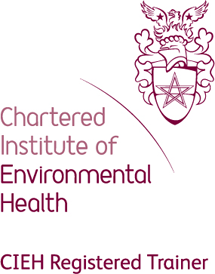 IEMA Managing with Environmental Sustainability is one of a suite of three courses, under the banner of All Jobs Greener, a new workforce development programme aimed at non-environmental specialists. The aim of this 14-hour, Level 4 Qualification course aims to provide supervisors and managers with a strategic and operational overview of environmental sustainability as it affects their specific industry and work area. This course is ideally suited for supervisors and managers across all sectors and has no formal entry requirements. The assessment for Managing with Environmental Sustainability consists of a paper-based short answer question test. For further information about this course, please click here. This course will provide an overview of the new requirements of ISO 14001:2015 to enable delegates to evaluate and implement changes and improve their organisation’s environmental management system. If you are ready to implement the ISO 14001:2015 standard in your organisation, this course will give you the tools to adapt to the updated standard. You will leave the course with the unique IEMA EMS Gap Analysis Tool. This course will benefit those learners who have experience in implementing ISO 14001 EMS and will need to manage the transition to the updated standard. Click on our Calendar to view upcoming events or, alternatively, complete the Course Enquiry Form.